Craig Apple became Sheriff of Albany County in 2011. He has served in the Albany County Sheriff’s Office since 1987. Beginning as a Correction Officer, he became a Deputy Sheriff in 1989, an Investigator in 1991, a Sergeant in 1993 and a Lieutenant in 1995 when he supervised the Criminal Investigations Unit. In 1997, he was promoted to Patrol Commander and had oversight of a Patrol Division that covered approximately 375 square miles. In 1999 he was promoted to Chief Deputy Field Commander. In that role he was Commanding Officer in charge of the Law Enforcement Division and had oversight of the County Correctional Facility. In 2009, he became Undersheriff, the commanding officer in charge of all Sheriff’s operations with oversight of 720 employees and a $80 million operating budget. 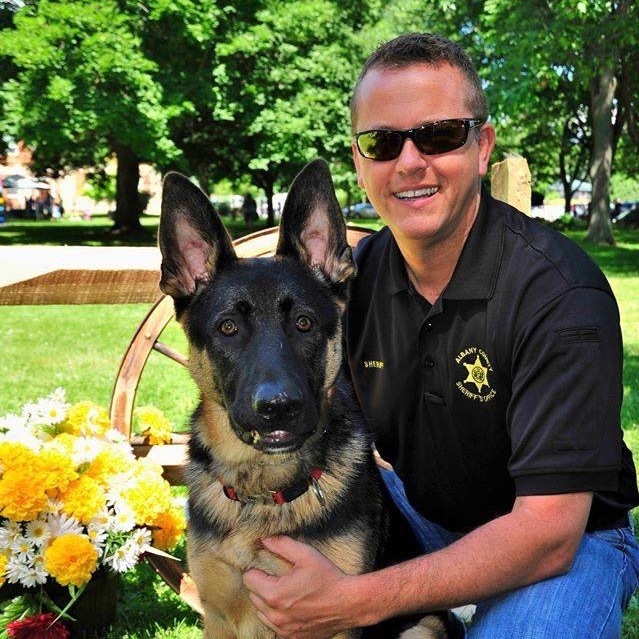 Sheriff Apple holds a master of science in Public Administration and a bachelor of science in Public Administration. He holds certifications from the New York State Law Enforcement Institute at John Jay Criminal College, the John F. Kennedy School of Government at Harvard University, the United States Department of Justice FBI National Academy, and the New York State Corrections Academy. Sheriff Apple received the Law and Order award from New York State Attorney General Dennis Vacco. He received the American Legion Police Officer of the Year Award and the Blanchard American Legion Post Fireman of the Year award. He received a commendation from the U.S. Department of Justice for going above and beyond the call of duty as a Police Officer. Sheriff Apple serves on the executive board of both the United Way and the Albany Boys and Girls Club. He has been a member of the Selkirk Fire Department. He is also a member of the International Association of Chief’s of Police and the International Counter Terrorism Officers Association. Sheriff Apple is a lifelong resident of Albany County who currently resides in the Town of Colonie with his three sons.